King’s Cross has already changed so much and there’s still more regeneration/transformation on its way. I remember when the area was not somewhere you wanted to spend any time and it really didn’t feel safe to come out of the train station. Now it’s a true ‘destination’ in its own right and there’s even a Visitor Centre. 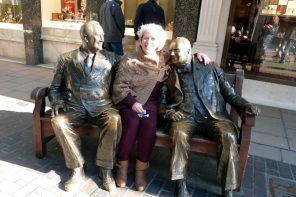 While there are plenty of bars and restaurants to keep the foodies happy, I wanted to highlight the free and unusual things to do in the King’s Cross area so you can find what others may well miss. This may seem like a very odd thing to encourage but it’s really only one ‘grave’ where this is a good idea. 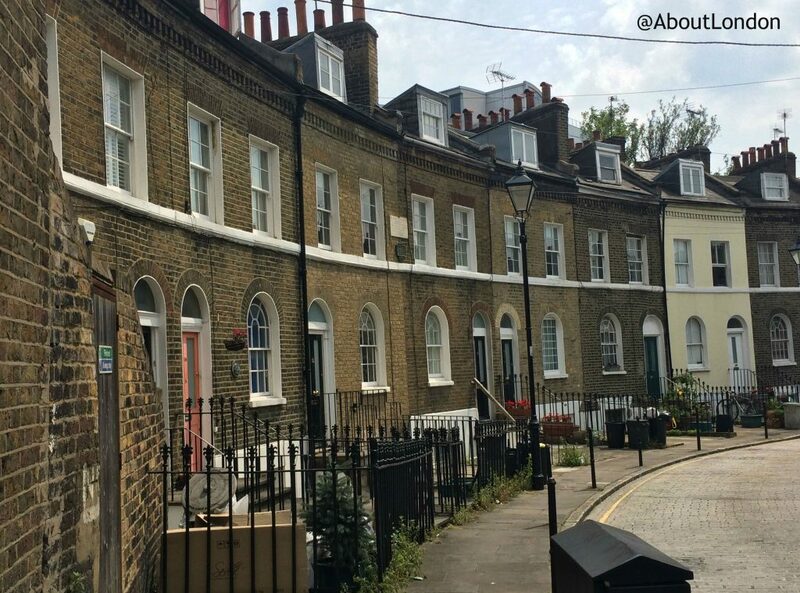 Walk up Pentonville Road and after a few minutes you’ll reach Joseph Grimaldi Park. It’s public gardens so it’s free to wander in and there are some benches so you could bring your sandwich lunch. The gardens include the former burial grounds for St James’s Episcopal Chapel and the most noteable grave is for the ‘father of modern clowning’ Joseph Grimaldi (1778–1837). His Grade II-listed grave is enclosed by railings but nearby there are two coffin-shapped art installations by Henry Krokatsis that were added in 2010. They are made up of bronze floor tiles that ring different musical notes when you jump on them. On the left, is a coffin-shape dedicated to Charles Dibdin, Grimaldi’s mentor, and on the right is a coffin-shape for Joseph Grimaldi. The tiles on Grimaldi’s ‘grave’ are tuned so that ‘Hot Codlins‘ – a song he often performed – can be played. Krokatsis said, “I wanted to create something that is constantly changing, a joyous interlude from the silence of death.” So, it’s absolutely fine to jump on these and play some tunes. I was a bit cautious here but you should dance like no-one’s watching as it’s a lot more fun. 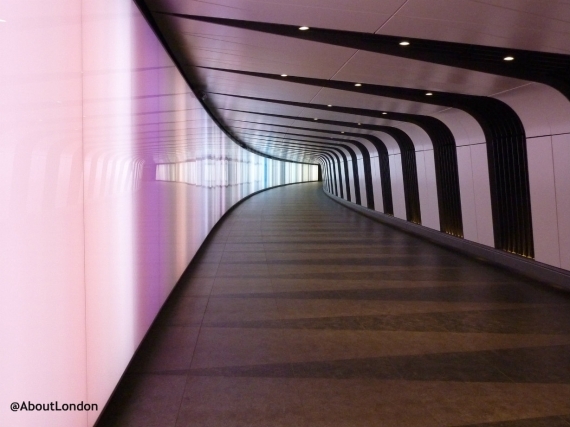 Who needs plain and boring subways when you can have a light-wall tunnel instead? When the One Pancras Square office block opened an additional subway connection to King’s Cross Underground Station and St Pancras International Station was added to help the workers there. 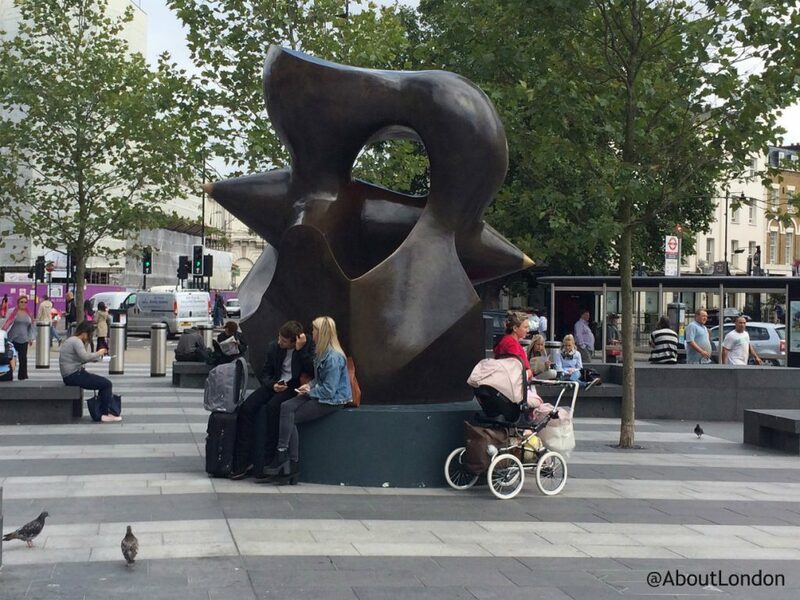 Easily missed by many, this large bronze sculpture by Henry Moore is in front of King’s Cross Station on the paved land now called King’s Cross Square. The artwork, completed in 1974, has been loaned to Network Rail for this space as both the Henry Moore Foundation in Hertfordshire and the Henry Moore Institute in Yorkshire can be accessed from the station. The loan is for at least five years from 2014. The sculpture is three metres tall but I can assure you many simply don’t notice it and just see the plinth as additional seating. 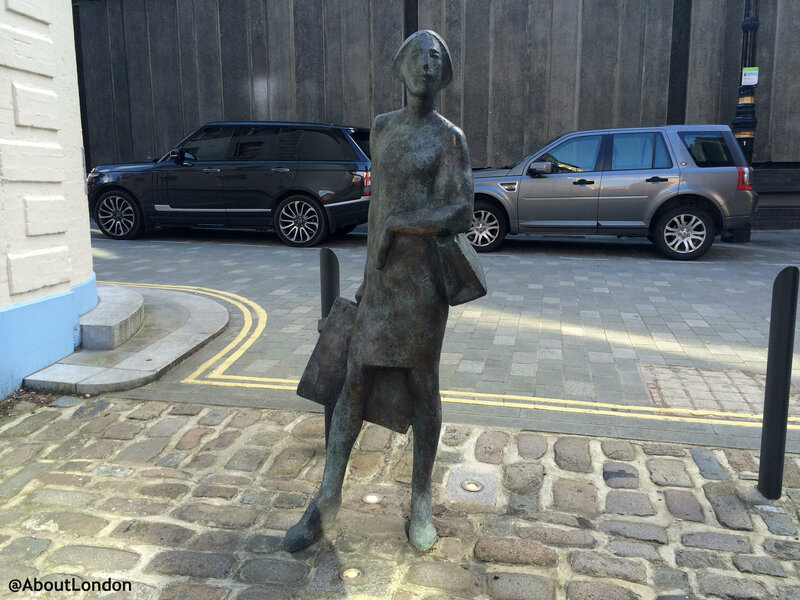 It’s size was chosen to deter metal thieves who have been known to remove public artworks in London. 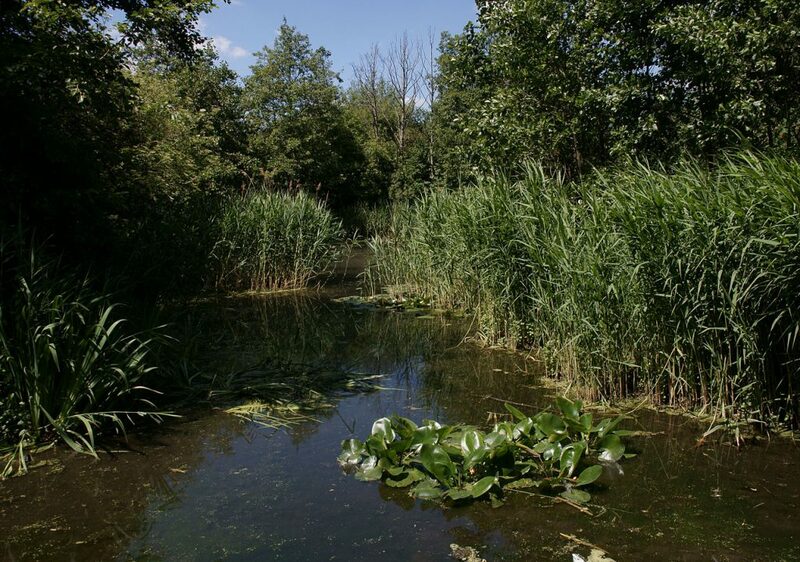 Did you know there’s an urban nature reserve a few minutes walk from King’s Cross station? Camley Street Natural Park is a lovely discovery for some peace and green surroundings. The park was created from an old coal yard in 1984 so is well-established. 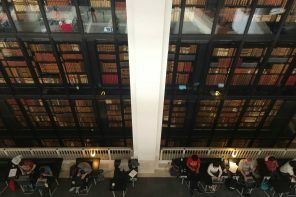 It’s free to visit and is next to the Regent’s Canal. I’ve been here for a lunchtime stroll and seen turtles in the canal proving how clean this environment is now. Viewpoint is a floating platform so you can really get close to the canal, and a pedestrian bridge is being added to connect to the north side of the canal where the King’s Cross regeneration has already gone so well. Within the park there’s a pond which school children use for pond dipping lessons. You may well spot frogs in the pond, and find butterflies and birds in the trees. 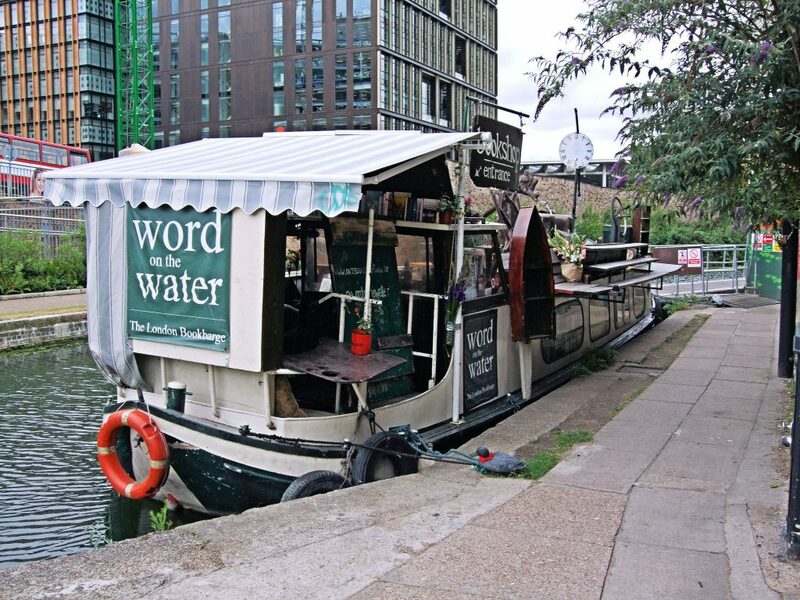 Word on the Water is a floating secondhand bookshop, moored near to Granary Square. It’s a 1920s Dutch barge and stocks around 4,000 books so there’s something for everyone. Books are displayed on top of the barge and inside with the diverse collection ranging from modern fiction for the commute to hefty coffee table art books. There are always children’s books too so bring the family as the owners are very welcoming, and there’s even an on-board dog to meet. In the summer there are sometimes acoustic guitar performances on top of the barge. It’s a reminder of a more slow way of life that can be achieved in the city. The KXplorer Digital Heritage Trail is an interesting way to get to know the area. 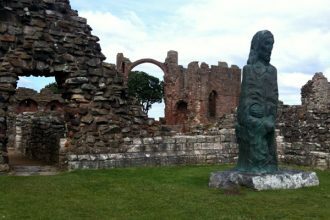 You can download a map or collect one from the Visitor Centre, then follow the trail on your smartphone or tablet to 11 locations with different themes. At each stop you can check images and read about the history of King’s Cross before trying some quiz questions (to check if you’re paying attention). Also, look out for artworks created for the 2014 poetry trail which will hopefully be linked again in the future. It’s not really a spooky place as a ghost station is the name given to disused London Underground stations. 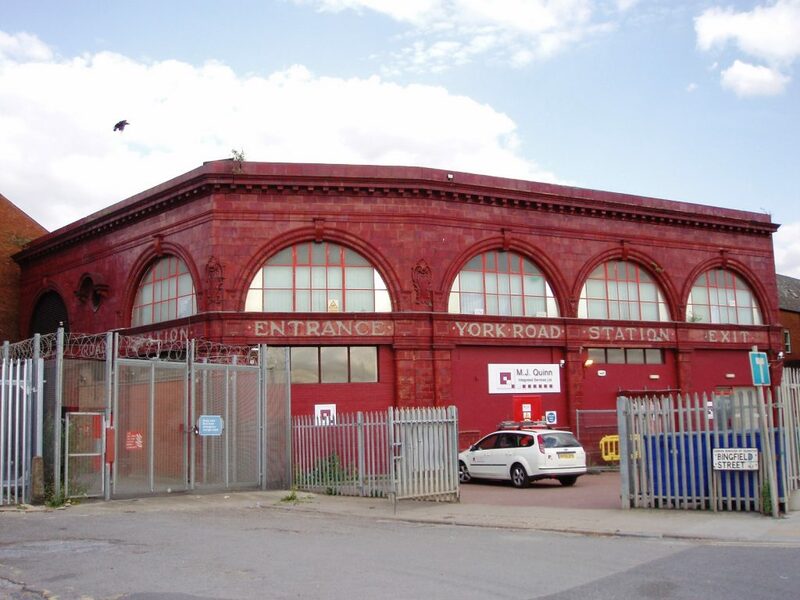 York Road station opened in 1906 as part of the Great Northern, Piccadilly and Brompton Railway – the old name for the Piccadilly Line. 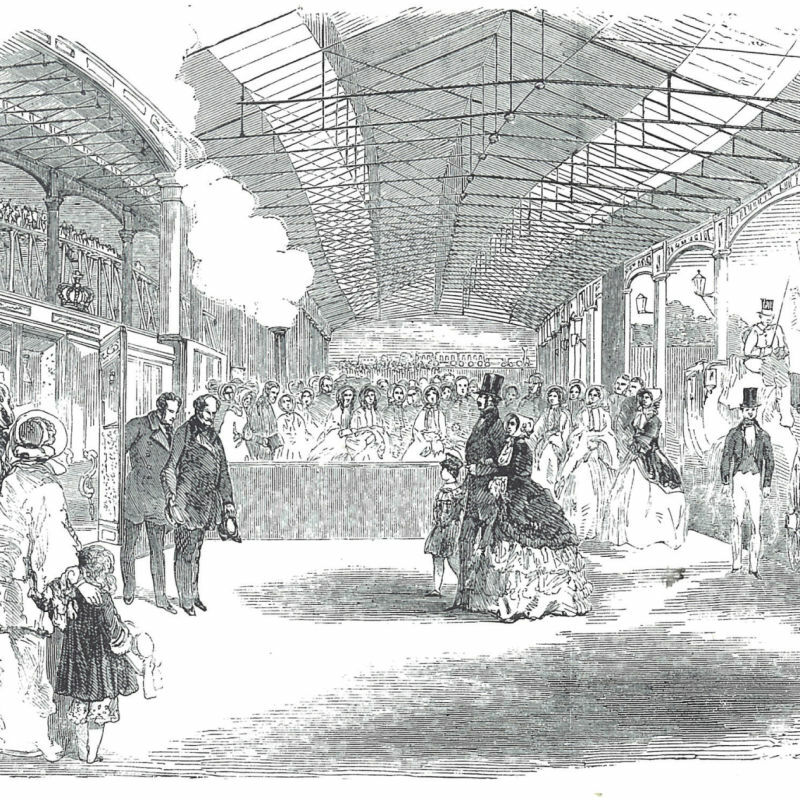 The station closed in 1932 as it wasn’t as well-used as the nearby King’s Cross station. At street level you can see the distrinctive Leslie Green designed red-tiled station building on the corner of York Way (originally York Road) and Bingfield Street. But my tip is to look for a glimpse of the station while travelling on the Piccadilly Line. Between King’s Cross and Caledonian Road stations on the Piccadilly Line, look out of the windows on the right-hand side (both directions) and you’ll notice a short gap when the normal cables running along the wall can’t be seen as you’re passing an open platform area (the platforms themselves have been removed). There are usually lights on at the station making it easier to notice. There have been surveys to consider reopening this station for the residents of this regenerated part of town but it has generally not been considered a good idea. The station doesn’t have escalators (lifts were used to reach platform level) and it would extend the journey time for passengers travelling in from north of the area. The site has been used as a state of art technological testing facility. A short walk up Midland Road brings you to St Pancras Old Church which is considered one of the oldest sites of Christian worship in England. The building contains remnants of both Roman and Norman elements, but much of what we see today is from the 1847 Victorian rebuild. The graveyard is well worth a look as you’ll find the inspiration for the iconic red telephone boxes designed by Giles Gilbert Scott. One look at the Grade I listed tomb for architect Sir John Soane and his wife and you’ll understand. Many come to see the Hardy Tree which is named after the writer Thomas Hardy. In 1863 graves were moved to give land to the Midland Railways Company. At that time the novelist Thomas Hardy was a trainee architect employed to relocate graves for the reburial of corpses. 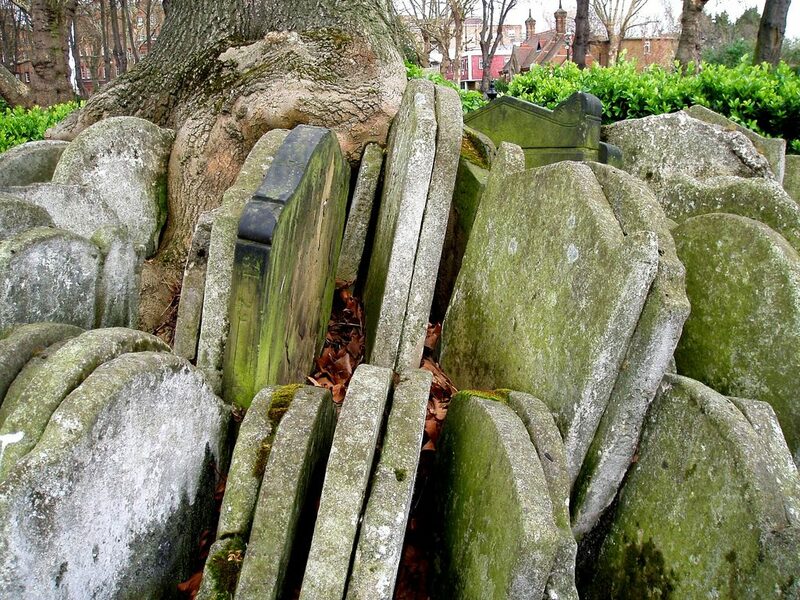 The tombstones around the tree came from St Giles Cemetery and were left here in a dome shaped pile. An ash tree seeded itself and grew up through the gravestones moving them upwards and growing over them as it did so. In November 1968 The Beatles stopped at the graveyard as part of their Mad Day Out when they wanted to find peaceful locations for photos. 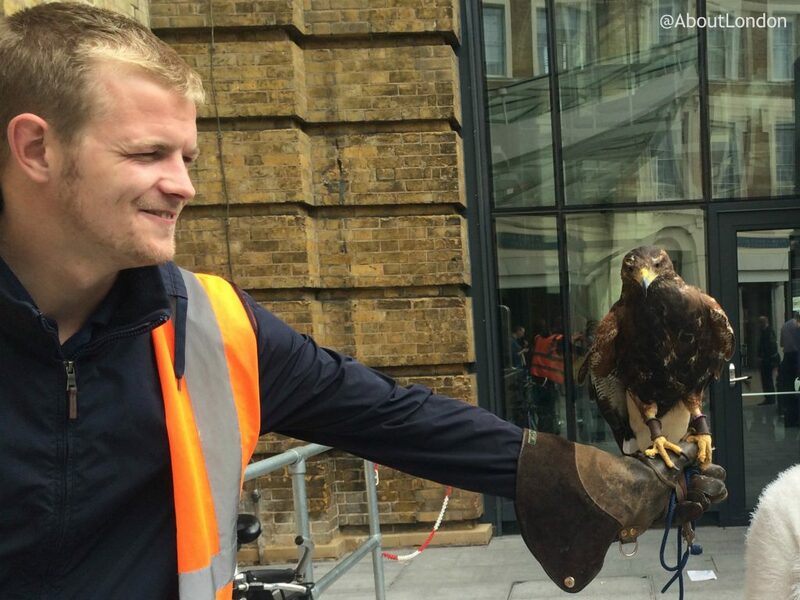 To help keep pigeons out of King’s Cross station, two Harris Hawks, called Aria and Denise, are brought to the station three days a week for four hours at a time. The birds fly around the station, under the watchful eye of their handler Max Bell. He keeps his birds at home and is employed to fly hawks regularly at the train station and other sites around the south of England to scare off pigeons. The hawks are well fed before starting work so it’s less likely they would attack a pigeon if one was foolish enough to fly into the station. The hawks are not permitted to fly directly over platforms, due to overhead power lines, so he also walks around the station with the birds on his gloved hand. Mr Bell and the hawks cause quite a stir so you may well see him in the station. I’ve stopped to chat with him before and he always tries to answer questions about the hawks. Next articleWhere are The Chilterns?